I have had the privilege to serve as a counselor for this wonderful organization since 2006. When you hear people talk about Smile-A-Mile, often times you will hear us talk about our “second family.” Words cannot really describe what that truly means. Smile-A-Mile is a place where everyone is accepted & loved. 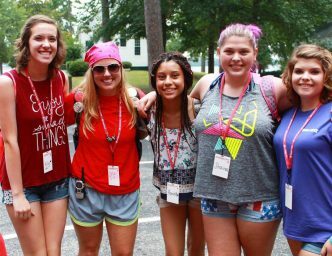 We have tons of fun, from arts & crafts to basketball to boating & tubing … but it is so much more than a carefree week or weekend. We laugh with, cry with, pray for, love and support one another year round. SAM is a wonderful place where these kids are made to feel special because they ARE special. They are tough and resilient, kind and compassionate, and often wise beyond their years. They are my heroes.